Introducing "Belleclaire" Edwardian Pumps - Pre-Order! Darlings, meet "Belleclaire," our second Exclusive design chosen by you! 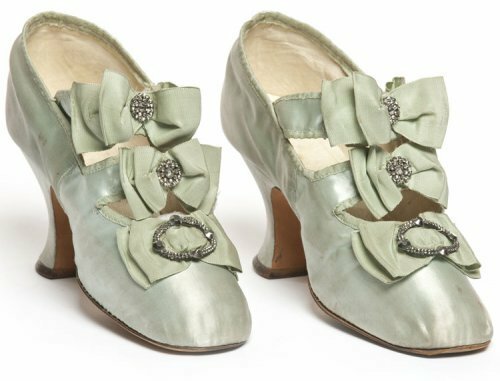 Based on a pair of 1900-1910 satin pumps in Les Arts Decoratifs, these Edwardian stunners will pair wonderfully with any formal attire, and offer glamour and comfort for an evening's events. Belleclaires are $260/pair - unlimited orders / limited production - we will only make as many pairs in each color as are ordered. Each pair of exclusives comes in a numbered box. Delivery in 6 -8 weeks. Exclusives are just that - exclusive. These are not offered as regular stock, and will only be made in very small batches by master craftsmen, using high quality materials. Exclusive designs will not be offered again, and are available by pre-order only. Click here for more information. *Belleclaires qualify for coupon codes, gift cards, and EasyPay Layaway at AmericanDuchess.com only.